There have been a few activities for me in these early months of 2018. After the ePortfolio forum at AAC&U (my last blog post), I headed out to Arizona in February to do a grant panel review. It was quite chilly in Scottsdale, AZ – in fact, it was colder in Arizona than it was back in Philadelphia! Alas, I couldn’t resist getting some ice cream at this old ice cream parlor named Sugar Bowl – yummy! As spring training takes place in Arizona for some baseball teams, this dessert is named Top Hat Sundae – a special favorite of the baseball stars. 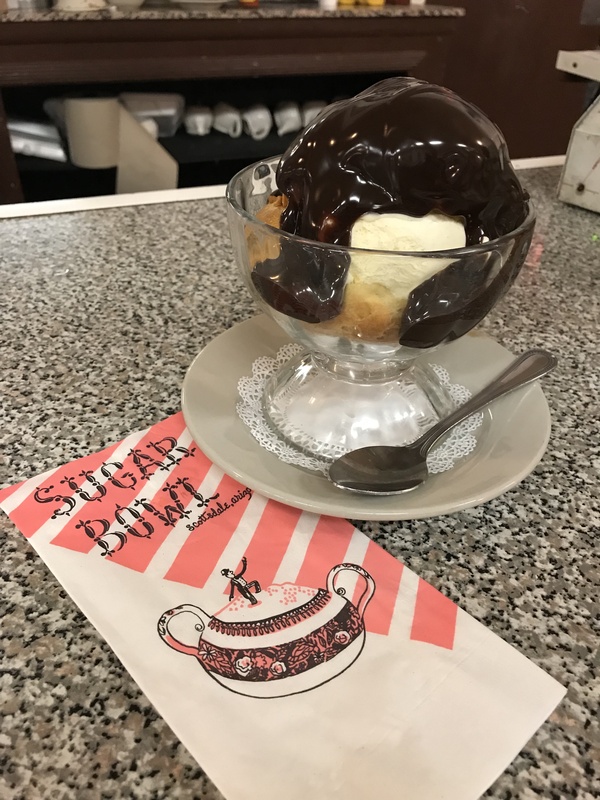 It’s a “fluffy Sugar Bowl creampuff filled with creamy vanilla ice cream, then showered with hot fudge.” I think I’ll volunteer for this grant review panel again next year…. 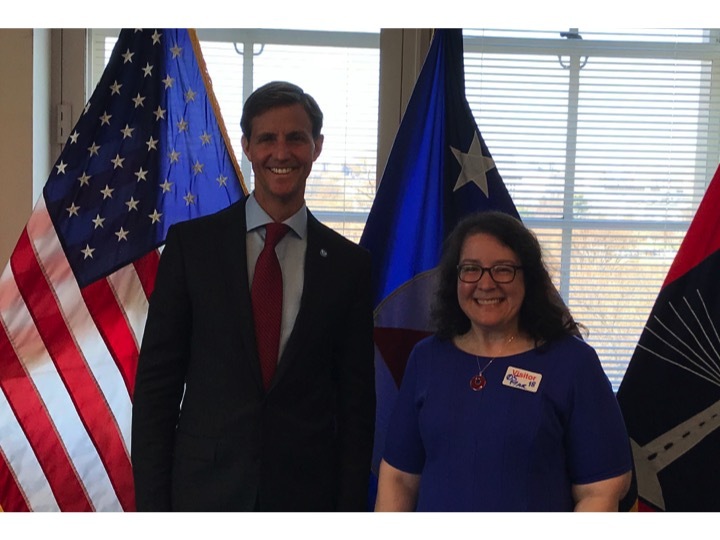 At the beginning of March, during spring break for Penn State, I headed to DC for meetings – one of which was with the Assistant Secretary of Commerce for Oceans and Atmosphere and Acting Under Secretary of Commerce for Oceans and Atmosphere! Check out my AGU blog post that documents A conversation about science communication with NOAA’s RDML Tim Gallaudet, Ph.D. I also visited the Philadelphia Flower Show, which had a theme this year relating to water (and since I’m teaching my water course EARTH 111 this semester, I was very curious to check it out). See what I had to say at my AGU blog about Wonders of Water at the Philadelphia Flower Show. Looking forward to blogging about my next adventure in March…. OCEANDOTCOMM!